Famous hot springs nearby with one free entry incl. A modern residence located in the beautiful Louron Valley. 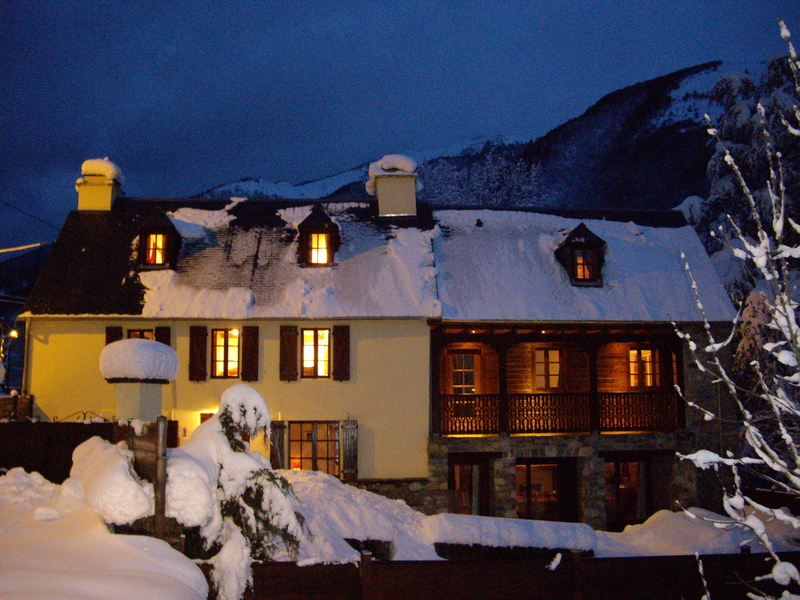 It is ideally located near to Balnea thermal spa and between Peyragudes and Val Louron ski areas, each just a short drive away. 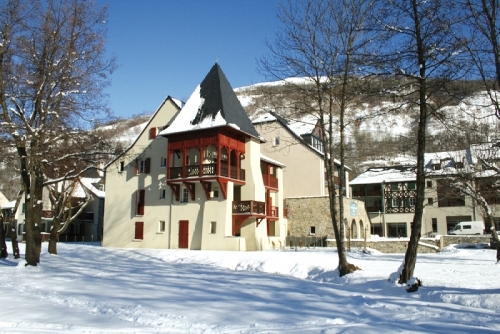 Les Jardins de Balnéa can be found in Loudenvielle, ideally located just 8 miles and 5 miles respectively from the two very different ski resorts of Peyragudes and Val Louron. Whilst Peyragudes offers modern high speed lift systems and challenging slopes for all abilities, the traffic free resort of Val Louron is an intimate ski area with great beginner slopes and family friendly ski slopes. As Peyragudes and Val Louron are sister resorts, you can pick and choose where to ski each day with a combined resort lift pass or ski in one area for the full week. A shuttle bus runs weekdays during French school holidays from Loudenvielle to Peyragudes (payable, see Tourist Office or residence for timetable). Recently built, Les Jardins de Balnéa is composed of 69 apartments. These are spread over 5 buildings, all built in typical mountain style, using dark wood and light stone. Cots and highchairs can be hired. A free two hour session is included for all guests at Les Jardins de Balnéa giving access to the thermal spas excellent facilities. The various swimming pools with waterfalls, massage jets, underwater music, bubbles-beds and water-jets are great fun for all ages whilst the steam rooms, Jacuzzis and numerous massages and facial or body treatments (available at a supplement) are just what the doctor ordered after a hard day on the slopes. There is also a restaurant offering a healthy and balanced menu. Facilities at Les Jardins de Balnéa include free outdoor parking (state at time of booking). 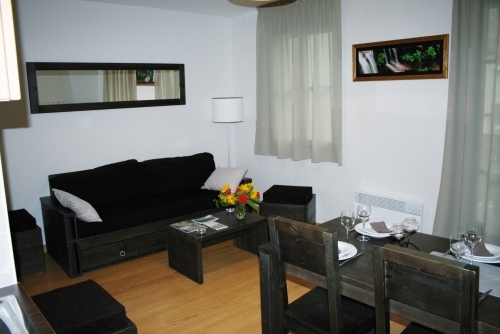 Small communal lounge within the reception area, Wi-Fi access in the main reception area (payable) & ski lockers. 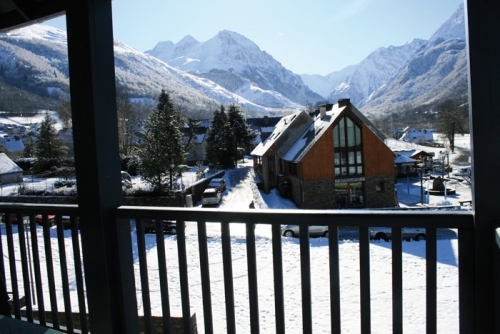 The traditional Pyrenean village of Loudenvielle has all the necessary amenities, and is just 300m away with its ski hire shop, bakery, tourist office and small collection of bars and restaurants. 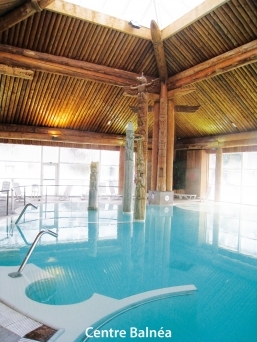 There is plenty to do here after a day on the slopes in either Peyragudes or Val Louron. It is just a 10 minute walk (300m) to the famous “Balnea” thermal spa (the best hot springs complex for relaxation and well-being in the French Pyrénées*) and 500 m to the Génos Lake. 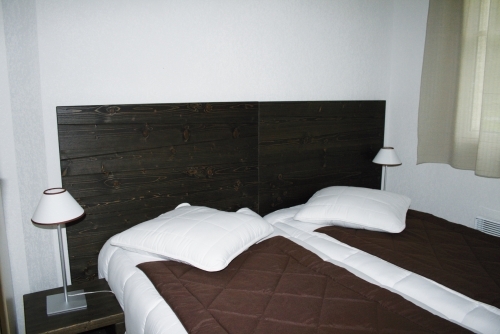 The 69 modern and comfortable self-catering ski apartments are fitted and furnished to a high standard. The decor is modern and stylish, using solid dark wood and neutral colours. They all have a fully equipped kitchenette with microwave, ceramic hob, dishwasher, kettle, coffee machine, flat screen TV and a balcony or terrace. Studio Alcove sleeping 4 (ca. 26-31m2): Open plan living/dining area with sofa bed (converts to 2 singles beds), 1 alcove with bunk beds & bathroom with WC. Balcony or terrace. 1 Bedroom Alcove Apartment sleeping 6 (ca. 40m2): Open plan living/dining area with double sofa bed, 1 twin bedroom, 1 alcove with bunk beds, bathroom with WC. Some apartments are split level. Balcony or terrace. 2 Bedroom Alcove Apartment sleeping 7 (ca. 46m2): Open plan living/dining area with sofa bed (converts to 2 singles beds), 1 double bedroom and 1 bedroom with 1 single bed, 1 alcove with bunk beds, 1 bathroom with WC and 1 shower room. Split level apartments only. Balcony or terrace. 2 Bedroom Alcove Apartment sleeping 8 (ca. 44 – 56m2): Open plan living/dining area with sofa bed (converts to 2 singles beds), 1 twin bedroom, 1 double bedroom, 1 alcove with bunk beds, 1 bathroom with WC and 1 shower room. Split level apartment. 3 Bedroom Alcove Apartment sleeping 9 (ca. 55 – 59m2): Open plan living/dining area with sofa bed (converts to 2 singles beds), 1 double bedroom, 2 twin bedrooms, 1 alcove with 1 single bed, 1 bathroom with WC and 1 shower room. Split level apartment. 3 Bedroom Alcove Apartment sleeping 10 (ca. 60m2): Open plan living/dining area with sofa bed (converts to 2 singles beds),1 double bedroom and 2 twin bedrooms. Extra twin bedroom or 1 alcove with bunk beds or a single bed. 1 bathroom with WC and 1 shower room. Some apartments are split level. Balcony or terrace. Please note: for any apartments at Les Jardins de Balnéa in Loudenvielle that feature bunk beds, sleeping in the top bunk is not recommended for children under the age of 6 years old. Fully equipped apartment with bed linen, 1 bath towels and bath mat (change payable), flat screen satellite TV, ski locker, 1-2 hour pass to “Balnea” thermal spa per person per week, free Wi-Fi at reception. 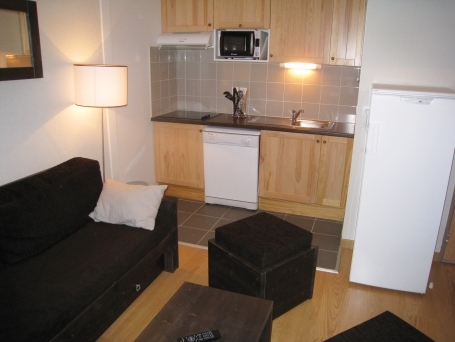 Charge if apartment is not left clean and tidy: €55-€85 (depending on apartment size). 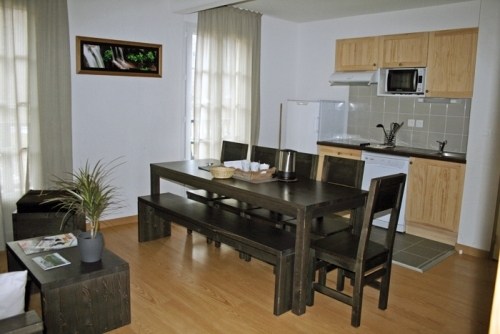 Pets are allowed and will be charged €44/week (payable locally – maximum 2 per apartment). A valid passport for your pet is compulsory. Sunday – Friday: 09.00 – 12.00 & 16.00 – 19.00. Saturday: 08:00 – 12:00 & 16.00 – 19.00. Arrival day at Les Jardins de Balnéa is Saturday (unless otherwise stated) 17:00 - 20:00 and Departure 08:00 - 10:00.